Ban Antibiotics and Save MoneyEliminate The Muda! Blasphemy is what my wife will say when she sees this blog title. We have long had the debate regarding the value and safety of vaccines and drugs. Of course she is on the side of the doctor knows best and I am on the side of we need less. There is an old saying “a happy wife is a happy life.” So it won’t take much to conclude that I have, mostly, yielded to her desires to run to the doctor anytime this sniffles, sneezes and temperatures have become worrisome. Not only am I not a professional financial consultant, I am also not a trained physician nor biologist, scientist or other ist. Science however is fascinating to me and as a result I’ve spent a lifetime absorbing whatever comes my way. This post was featured in the Money Hacks Carnival hosted by Learn Save Invest. Please link over to see other great articles! In the course of my life a number of studies, theories and suppositions have been presented that suggest when it comes to bacterial diseases we are fighting the fire with gasoline. Unless you have been living under a rock you have heard concern that consumers incorrect use of antibiotics are actually enabling germs and bacteria to build resistance to the medications we have created. I’ve always wondered if it is our use or simply nature. After-all life has been adapting for millions of years; why stop now? OSLO, Norway — Aker University Hospital is a dingy place to heal. The floors are streaked and scratched. A light layer of dust coats the blood pressure monitors. A faint stench of urine and bleach wafts from a pile of soiled bedsheets dropped in a corner. Look closer, however, at a microscopic level, and this place is pristine. There is no sign of a dangerous and contagious staph infection that killed tens of thousands of patients in the most sophisticated hospitals of Europe, North America and Asia last year, soaring virtually unchecked. The reason: Norwegians stopped taking so many drugs. I came across this information from one of my favorite science blogs, the Curious Cat. The article quoted above comes from The Miami Herald: Norway Conquers Infection By Cutting Use of Antibiotics. In particular the paper notes that the Methicillin-resistant Staphylococcus aureus [MRSA] bug kills about 19,000 Americans every year. That is more than the swine flu, avian and even AIDS! What makes it really crazy is that we are spending millions for the privileged. The World Health Organization says antibiotic resistance is one of the leading public health threats on the planet. A six-month investigation by The Associated Press found overuse and misuse of medicines has led to mutations in once curable diseases like tuberculosis and malaria, making them harder and in some cases impossible to treat. Now, in Norway’s simple solution, there’s a glimmer of hope. In our family of four it is well known that I am the healthiest of all. This is ironic considering that I rarely take any medications, even aspirin and I travel at least 30 weeks each year meaning I am exposed to literally millions of people and all of their illnesses. Throughout my career I have missed less work (and therefore earned more) than my counterparts and I have always attributed it to having a strong immune system. My belief is that by exposing myself to illness and allowing my body to fight it naturally, like exercising a muscle, it has gotten stronger. No doubt, there are times when we all need the assistance of drugs and doctors. However, when evidence such as this comes out you have to ask… The answer, it would seem, is simpler than the problems we face. Readers: Believe me, my wife would love nothing more than if you all disagreed with me. Even if you do, I am interested in your opinion. Do you believe our population has been over-medicated? While I will normally try to take your wife’s side, (solidarity and all) in this instance I happen to agree with you. It is our nature and our cultural inclination to look for the magic bullet to cure whatever ails us, and when we find one, overuse is the totally predictable next step. No one wants to see their child in discomfort, or suffer pain themselves if they can avoid it, but it has been common knowledge for years that in the case of viruses, antibiotics don’t even work, and usually, when we are ill it’s from a virus. Too often a doctor will prescribe antibiotics “just in case” something else is going on or to comfort the patient with the idea that they are doing “something” that will help. Everything I have read on the topic all seems to lead to the same conclusion you have reached, so I’m with you. .-= Tracy´s last blog ..The Price Of Fame: A story about about pre-planning… =-. My kids’ pediatrician (a woman) would agree with you on this. When I explained to her during our first meeting I didn’t believe in antibiotics for the kids unless a culture identified a bacterial infection she immediately agreed to me and said this was her office’s policy. Flesh eating bacteria and these new staph infections I keep reading about scare the bejesus out of me. This is one I think your wife may have to grudgingly agree with you about. HA! I call it ‘exercising my immune system’ and joke at times about licking the door handle at the mall, or handrail at the airport. I HATE taking antibiotics, aspirin, nitequil, etc., I agree with your whole post. You should check out curezone.com the site has a lot of great stuff (and a lot of nutty stuff as well). .-= Evan´s last blog ..How Financial Planners SHOULD Act =-. It is looking like a clean sweep. 4 for me and a big zip for the wife! @ Tracy – How much money has been effectively thrown away because of the over zealous prescription writing? It is astounding when you think about it. @ David – Yeah to your Dr.! But looking at this article we could significantly reduce the likelihood of these really bad infections if we worked smarter. @ MB Gross! but I do it too. As sick as it is for some, I have often picked up a pen from a bank or hotel desk and found myself chewing on it. I agree though, it is exercising my immune system. @ Evan – Thanks for the site, I will definitely check it out! the slightest little sniffle is what has led to the super bugs that seem to be multiplying with frightening rapidity. Building up a strong immune system is the key in battling all those pesky bugs (but licking door handles … lol, I’ll pass on that one). Seriously it would do all of us a lot of good if we relied less on the instant fix and more on preventive solutions – then maybe good health care would be more affordable. True, the pharmaceuticals may experience a negative impact to their bottom lines and doctors my have a little less take home and then they wouldn’t spend as much on toys for themselves or their children then the toy companies would suffer and since they are a big business they would not be allowed to fail so we would need to have another bailout ………… ooops – all because we become a healthier nation???? Nah! It’s just my cynicism getting the best of me yet again! .-= Valentina´s last blog ..Blog Income Month in Review – February 2010 =-. @Valentina – LOL – I would argue that if we were a healthier nation we would miss less work and have more disposable income which would drive demand and help our economy grow. Then all the pharma people could be retrained for the newly evolving green jobs. I can dream, right? .-= Stay at Home Mom CFO´s last blog ..“Making Work Pay Credit” and the SAHM =-. I agree with you too! Unfortunately, I have a horrible immune system and I’m sick at least a few times a year… but I still don’t go to the doctor for antibiotics. I believe that my body should adapt and become stronger too. The superbugs are what scares me! Our country should follow Norway’s lead! @sahmCFO – I am so glad everything turned out with your girl. With two of my own and a couple of scares along the way I completely understand. @Don – Looking at the data it seems ironic that what scares us most (superbugs) may very well exist only because we tried so hard to prevent them! I have to be dragged kicking and screaming to the doctors and hate any medication just like you… I too am rarely sick (although do have a blocked nose constantly since I got here in Egypt but that’s car fumes!!). @Forest – I’ve always thought a good rule of thumb with doctors is that if I can walk and I can breathe I don’t need them. Egypt… too cool! It’s worth a stuffed nose for the opportunity to see that kind of history! It’s really quite obvious. It’s evolution in action. Kill 99.9% of all bacteria as the detergent ads proudly claim and you leave 0.1% of the resistant bacteria with no competitors whatsoever. It is quite obvious that this eventually leads to superresistat bacteria. Same with the immune system; here it is also obvious that an army that has never been in battle is more likely to lose the first one it engages in. Allergy is another case in point. I was allergic to pretty much everything as a kid. This meant either drugs and inhalers or staying away from everything. My parents chose the latter. As I grew older, I was able to tolerate more and more and today I am almost allergy free. Conversely, I know people who took the drug approach and their allergies keep getting worse and worse which leads to more and more drugs and so on. @Early Retirement – You are a scientist and you know this. I am not a scientist and it always seem intuitive to me. So why has the society allowed this to occur? Like yourself I have progressively build resistance to childhood allergies…until we took in a couple of rescue cats. Interested in adopting? Scary stuff, MRSA is, isn’t it? There is only one antibiotic that works for MRSA and it can only be given by IV drip. Antibiotics are everywhere, even if you don’t choose to take it for an infection (scarily enough!). They’re in your beef because farmers give their cows antibiotics so that their udders don’t get infected etc. I think most doctors nowadays are trained to know that “not all bugs need drugs” and they are hesitant to prescribe antibiotics (often the course is not finished completely which adds to the resistance). .-= youngandthrifty´s last blog ..Questrade TFSA Check Up =-. @ Youngandthrifty – some of what I read would indicate that doctors in the U.S. are getting better about over prescribing. However, anectodal evidence would suggest we still have a long way to go. I only say this based on the fact that I have a relative with a small chain of daycare centers and she still sees wide spread use of antibiotics. Egalitarianism can only take one so far. Scads of comments from totally ignorant persons add up to bushels of misinformation. Only two things have saved more lives than antibiotics: clean water supplies and vaccinations. The idea that we should ban antibiotics because some physicians err when prescribing them is equivalent to the idea that we should ban automobiles because some drivers err when traveling. The development of antibiotic-resistant organisms began immediately after the earliest antibiotics (penicillin and sulfa drugs) were used. An old medicine textbook describes how Staphylococcus aureus developed resistance to penicillin. That text could be used today just by substituting methicillin for penicillin. Sensationalists labeled it a Super Bug: Methicillin-Resistant Staphylococcus Aureus (MRSA). [Sounds scary, doesn’t it?] There’s nothing especially super about MRSA, and pharmaceutical companies developed entire new classes of antibiotics to combat it. If MRSA is such a bad super bug, why is it that most of us don’t know anyone who died from it? I worked at a large VA hospital for over four years, and MRSA was associated with (and not the primary cause of) fewer than five deaths per year. 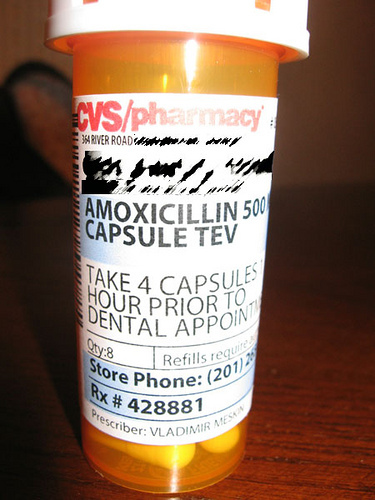 Yes, physicians should be less cavalier about prescribing antibiotics. But, please don’t think that banning antibiotics will improve our health. Millions of people alive today would have died without antibiotic treatments. @Dr. T – Thank you so much for shedding a professional light on this topic. You raise intelligent points. No doubt antibiotics have saved millions, but how many have they killed or will kill? A complete ban may well be an extreme over-reaction but so would blind acceptance. In all fairness the problem does not lay with the physicians alone, parents that fail to follow the doctors instruction may have a greater impact. Ultimately whether we prescribe correctly and administer correctly we still face the same problem. Bugs will adapt to the antibiotics introduced. We will continue to face the potential of a superbug. Antibiotics most definitely should NOT be banned. As Dr. T noted, they are among the most powerful (if not THE most powerful) methods we humans have yet developed to improve our health. To suggest a complete ban on antibiotics (even if just in an attention grabbing headline) is a hugely flawed policy. However, there does seem to be an increasing overuse of antibiotics, particularly in situations where you don’t really NEED antibiotics. (Any product that proudly proclaims itself as antibacterial or ‘killing 99.9% of germs’, for example; as Early Retirement Extreme noted, that just leaves 0.1% of the germs, typically the hardest to kill 0.1%, pissed off and looking to avenge their fallen comrades.) That’s not even getting into how patients end up getting antibiotics for viral infections simply by refusing to leave until they did; all that’ll do is possibly make you feel better via the placebo effect while helping to make sure that the bacteria inside you start to build up an immunity. .-= Roger, the Amateur Financier´s last blog ..Networking Done Right =-. @Roger – a voice of reason at last. I will admit to a bit of sensationalism if we can achieve your vision of antibiotic use. The mentality that every problem can be dealt with a pill or a payment seems to lead to more problems than solved solutions. We need to stop searching for the easy or politically correct answers and begin looking for the best answers.